Spring: a time when plants start blooming, animals come out of hibernation and the earth reawakens. While longer days and warmer temperatures are eagerly awaited, according to natural medicine doctor and nutritionist Josh Axe, DNM, DC, CNS, an estimated 40 to 60 million people dread this time of year due to seasonal allergies. 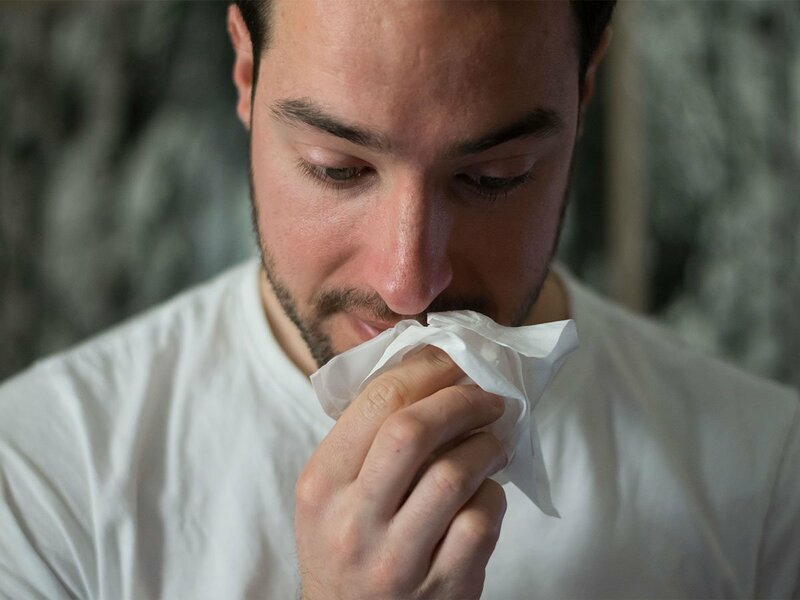 Whether it be wheezing and congestion or breathing troubles, itchy eyes, sneezing and runny noses, seasonal allergy sufferers will do just about anything to relieve symptoms. 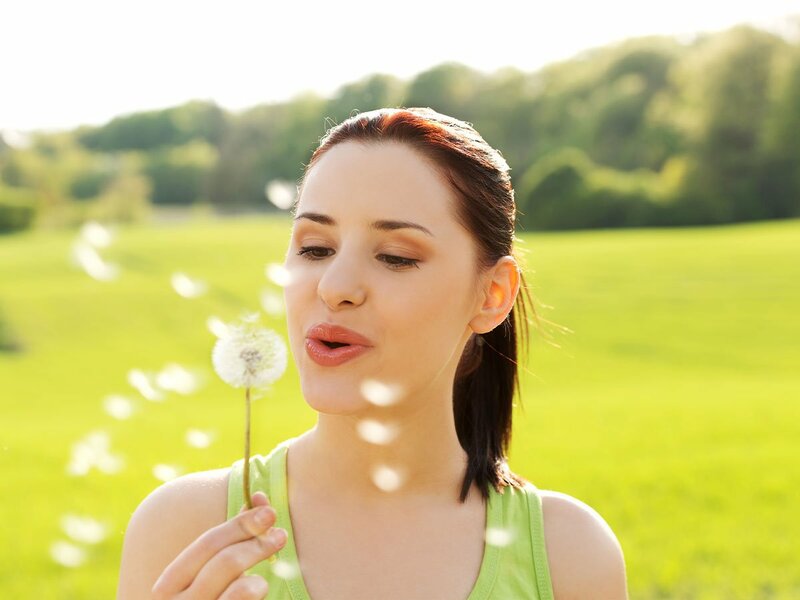 Allergies are a reaction that occurs when the immune system comes in contact with an irritating substance. It senses danger and elicits a response to protect itself. The first step to relieving allergy symptoms is to remove the triggers: outdoor air, synthetic bedding, mold-forming foods, dairy, etc. Next, eat an anti-inflammatory diet rich in quercetin-containing foods, spices, homemade bone broth, garlic and ginger. Stop in our Kitchen Market for our Anti-Inflammatory Spice Blend or Garlic & Ginger Infused Chicken Bone Broth. Commonly prescribed antihistamines such as Zyrtec®, Allegra® and Claritin® are enticing, but only offer a short-term solution that comes with a long list of side effects, including the very symptoms that they are intended to alleviate. Thankfully, natural therapies can be very effective at relieving symptoms while addressing the root cause of seasonal allergies. So, what are allergies exactly? Allergies are a reaction that occurs when the immune system comes in contact with an irritating substance. It senses danger and elicits a response to protect itself. In the case of seasonal allergies, the irritating substance is mold spores, or pollen from weeds, grasses or trees. The response is the release of histamines and other inflammatory chemicals. As a result, airways constrict, blood vessels become more permeable and mucus production increases which leads to allergy symptoms. The first step towards symptom relief is to remove the triggers. Limit your time outdoors, especially when pollen counts are high. Close the windows, shower before bed, change linens often and wash your clothes after each wear. Swap out cleaning and personal care products for more natural brands, and consider upgrading to hypoallergenic bedding that resists microbes, dust mites and mold. Mold toxicity may also trigger symptoms. Avoid contact with mold spores by cleaning frequently, properly ventilating rooms, using a dehumidifier, eating leftovers within one to two days and limiting your intake of mold-forming foods. Aged cheese, vinegar, mustard, smoked meats, fermented food and drinks, sugar, dried fruit, mushrooms, soy sauce, pickles, melons, peanuts, wheat, beer and wine are all yeast- and mold-containing foods that may exacerbate allergy symptoms. The next step is to use food as medicine! One of the most beneficial foods for pollen sufferers is local bee pollen, preferably sourced within 30 miles of home. Since bees pollenate flowers, their pollen will contain local environmental pollen. Similar to a vaccine, exposure to small amounts of the immune-stimulating substance (pollen) prior to full-blown allergy season will help you build up immunity. 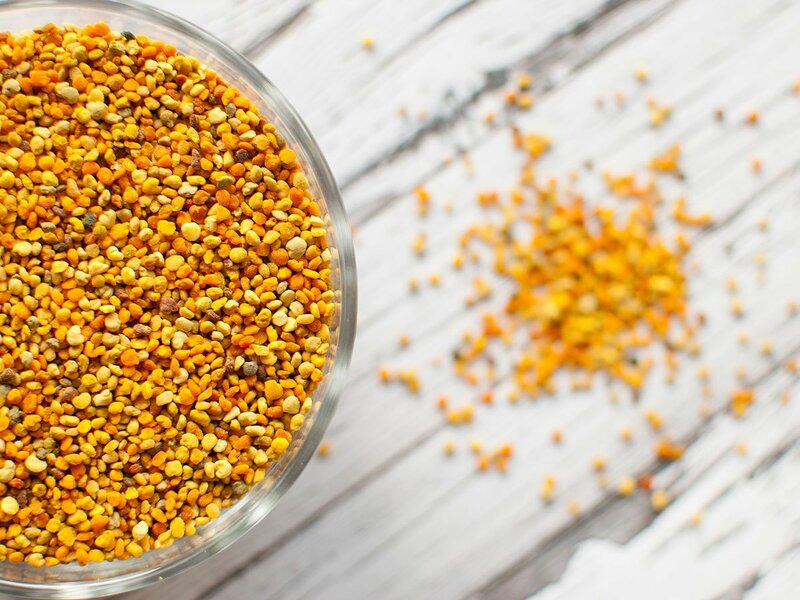 Available at many Farmer’s Markets, here’s how to use bee pollen for allergy relief: start by dissolving 2-3 granules of bee pollen under the tongue. Increase to ¼ teaspoon the next day and dissolve under the tongue once per day, continuing for 1 week. At week 2, dissolve ½ teaspoon under the tongue and gradually increase your intake from there as outlined for the following weeks: week 3 – 1 teaspoon; week 4 – 1 ½ teaspoon; week 5 – 1 tablespoon. This is best done 4-6 weeks before allergy season. Note: avoid if you are allergic to bees or have any sort of reaction to pollen use. An anti-inflammatory diet is also incredibly helpful. 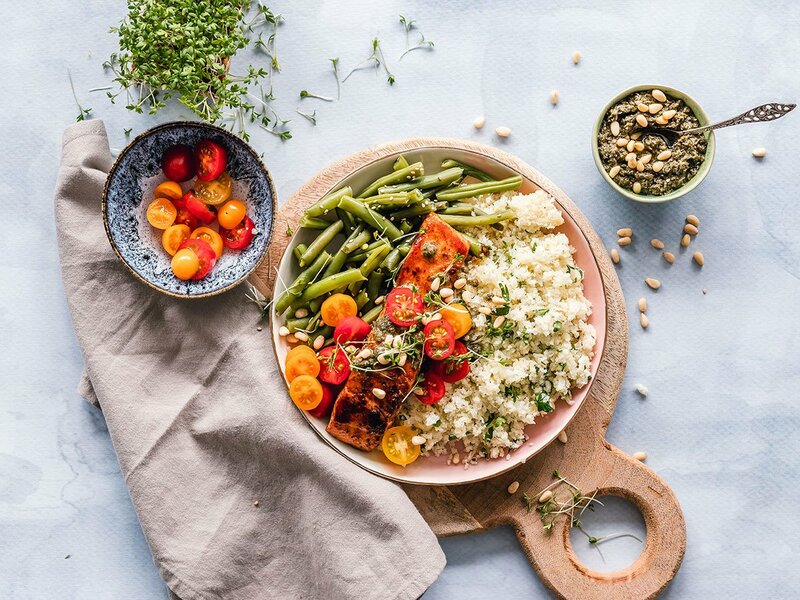 Include lots of colorful vegetables and fruit; immune-boosting garlic, ginger and bone broth; spices such as cayenne, turmeric and cinnamon; and omega-3-rich foods (wild salmon, cod and halibut as well as walnuts, flax, chia and hemp seeds). Quercetin-containing raw red onions, peppers, broccoli, citrus fruits, green tea, apples, dark cherries, grapes and berries are natural antihistamines that should be included on a daily basis. In addition, filtered water will help flush toxins – aim to drink half of your body weight in ounces per day. Avoidance of dairy and any other foods that you are sensitive to will help clear the sinuses and prevent excessive mucus formation. Probiotics, acupuncture, neti pots and essential oils are additional things to consider. Probiotics and acupuncture help strengthen the immune system, while neti pots help to flush mucus and relieve congestion. Peppermint, eucalyptus and basil essential oils are also helpful. Diffuse them to purify the air, inhale directly to open the sinuses, or dilute with a carrier such as organic coconut or jojoba oil and apply to the chest to relieve congestion. Get a hold of allergies before they get a hold of you! Support the immune system by removing triggers, keeping your indoor air clean, eating an anti-inflammatory diet, drinking collagen-rich bone broth daily and taking probiotics. Looking to get started right away? Stock up at Nourished® – our Wellness Boutique and Kitchen Market (open Monday – Friday, from 9am – 6pm) offer 100% grass-fed chicken bone broth as well as vitamin C, organic and wild-crafted essential oils, and probiotics!